April has long been a month of debate in the EVE community. 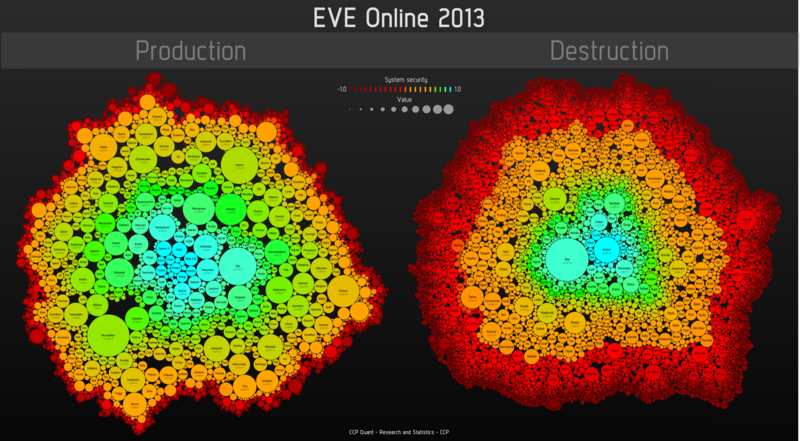 With the annual election of a new CSM in full swing and the summer expansion in the wings, issues from all four corners of EVE Online are brought into the light and discussed, this year being no different. With a disappointing and unfortunate turn of events last year, lowsec was left with no representation on the council. This year it is is coming back strong with several motivated candidates, all with clear ideas on what needs to be done. Although their perspectives on the state of lowsec differ, it has become clear to me after interviewing and speaking with them that they are united in their views on lowsec income, industry and trade. The reason is not some notion of solidarity however, simply a reflection of how clear the problems are. And it’s about to get worse. Living in lowsec is living hard. Harken back to the discussions I had with Sugar Kyle and Funky Bacon in Lowlife: Identity Crisis, where making a living in lowsec was one of the main topics. While not being particularly profitable, making money in highsec is comparatively risk free and can be done semi-AFK. Similarly, large swathes of nullsec are relatively safe and a so called AFKtar (Ishtar heavy assault cruiser intended for PvE) will pay for itself within the first couple of hours. Let’s not even mention how much ISK wormholers make. Outside of Faction Warfare the money making opportunities of lowsec lay in stark contrast to these other areas of New Eden. Doing anything in lowsec comes at great risk. This proverbial thunderdome of EVE crawls with seasoned PvP-ers that would like nothing better than to catch an Ishtar running a combat site for instance, drawing them out like moths to a flame. In exploration sites hunters lie hidden in wait for their next victim and regular mission running is extremely rare, either done by soon-to-be-ganked fools or those few who have made it their niche. Tags-for-sec has seen a slight increase in belt ratting, but it remains a pale ghost of what it used to be. Setting FW aside, the rewards remain subpar when compared to null and infinitely more dangerous to acquire than in highsec, making lowsec categorically the worst example of the CCP mantra: risk vs reward. This state of affairs pigeonholes players into either making money elsewhere or the ever despised Faction Warfare farming. As a result it must be considered the partial failure of a system intended to provide PvP and the means to support that lifestyle. At this point you may be thinking that I forgot industry as a source of income. Quite on the contrary – this is the point I’m getting at. If you have been following recent developments you may also have an idea why. Industry is pursued by people all over New Eden, including lowsec. 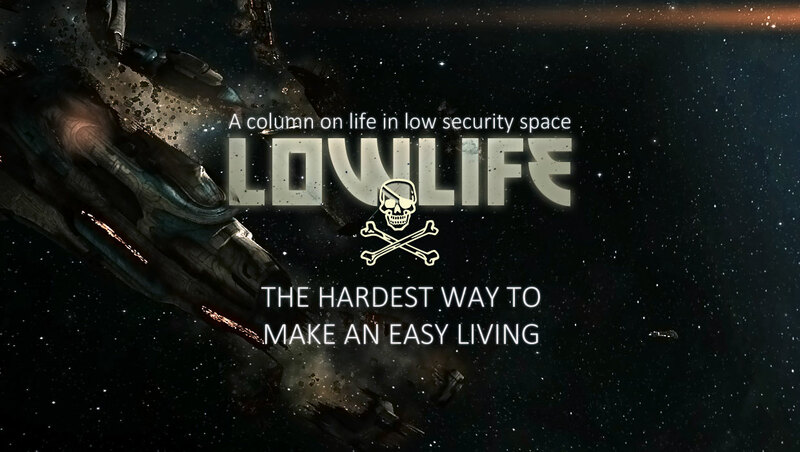 Although being far from ideal due to the dangers of local mining, lowsec production and trade (read the Lowlife guide to running a business in lowsec) still manage to survive, albeit on a smaller scale. It is a simple result of supply and demand – low security space is the most focused source of destruction in the game when considering the number of systems and inhabitants. Where there is demand supply will naturally follow. Lowsec mining and conventional freight being the internet spaceships equivalents of russian roulette with three bullets in the cylinder and vertical rock climbing without rope while drunk, minerals must be imported via jump freighter. Any serious production also relies on research, normally performed at a POS. Given what I have mentioned in this article alone it should come as no surprise that POSes in lowsec don’t exactly enjoy a long life expectancy. So again, it’s a hard life. But for whatever reason – making ISK, supporting the community, supplying corp and alliance – industrialists with some skin on their nose carry on with a stiff upper lip. Many do so despite the difficulties from a love of lowsec and what it stands for, making ships one day and blowing them up the next. Enter CCP’s vision of the future of industry. …and then procedes to defecate all over lowsec industry – a place widely considered synonymous with risk – by ignoring it completely and by proxy making it even worse than it already is. The incoming changes along with the changes to refining means that lowsec manufacturing, especially capital production, will be taking a massive hit. Industrialists left and right are announcing that they will closing shop in lowsec. For starters capital BPO’s would most probably be researched at NPC stations for a considerable fee. As the industry revamp requires a BPO to be at a POS to be researched there, most sane lowsec industrialists would opt for the station option. Putting BPO’s worth billions of ISK at a POS in lowsec for weeks is a bit like strolling around the slums of Mexico City with fat wads of cash sticking out of your pockets while clearly intoxicated. Problems that many established nullsec industrialists, and all highsec industrialists, don’t have to be equally concerned about. As I mentioned earlier; due to the state of lowsec mining and conventional freight, minerals must be imported using jump freighters. However, with mineral compression using modules being replaced by ore compression lowsec industrialists will have to refine. The lack of outposts means they will be doing so at a disadvantage compared to null while being forced to import compressed ore – effectively rendering them unable to compete. In summary this amounts to an overall nerf to lowsec industry as a whole and certainly the death of capital ship production in the area as we know it. What it means on the ‘ground’ is that the military capabilities of lowsec entities are taking a hook to the liver, to use a fighting analogy, especially when it comes to capital ships. With the ability to escalate to caps severely hampered lowsec players will be feeling the glass ceiling all the more. So nullsec sov industry gets buffed, highsec gets nerfed but remains the safest place to do it, and lowsec gets fucked over. Tell me I’m wrong – I’d love to be. To me this is looks like the result of one of three things: CCP didn’t consider what this would mean for lowsec industry, considered it but didn’t care or are suggesting we should all quit whining and rent nullsec space. I can’t decide what would be worst. A few days after this article is published CSM 9 will be announced. I think this is a stark reminder of why a voice for lowsec on the council is sorely needed.